I know there are thousands of free printable menu planners out there. I mean all you have to do is look at Pinterest and Etsy. So I decided to put mine that I’ve been using for years out there, too. I love it! It’s so sweet in pink and blue. Super girly right? There’s nothing wrong with that! I love this one because not only can I plan each day, but I can write down what I need as I go. Then I just take it to the grocery store and I’m done. I hate it when I get to the store and look at my list and wonder why am I buying oyster sauce? Oh! Because I’m making stir fry on Thursday! You can look at your menu and remember exactly why you’re buying something so you don’t have to run back to the store later. I’ve done that a million times. (Insert facepalm) Haven’t you? 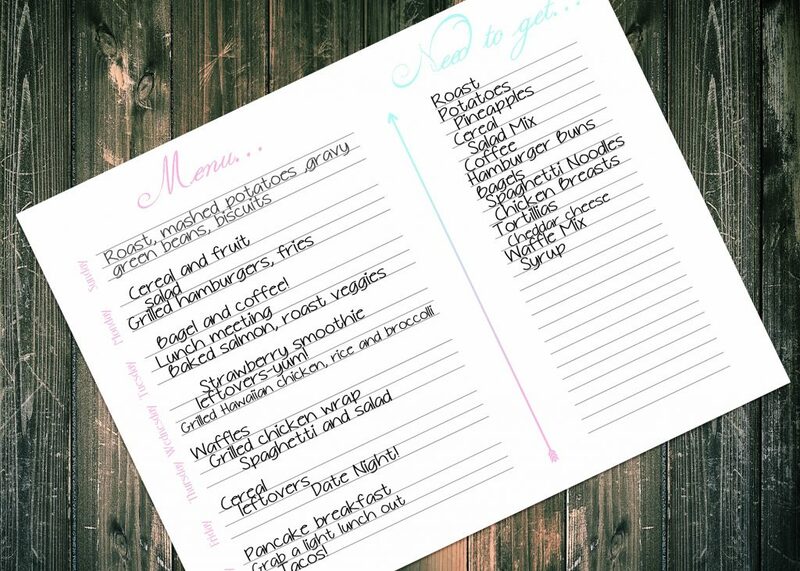 Hopefully, this menu planner will help alleviate some of the stress of what’s for dinner each night and make your shopping experience a little better. I’m putting up the Saturday to Friday page here for free! Just go to the bottom of the post and click on the link to be taken to the download. If you’d like the rest of the pages starting with each day of the week, please go to my Etsy Shop. I don’t know about you, but I try to do most of my shopping on Saturdays, But lately, I’ve been trying out different days to see which I like the best and sometimes, Saturdays are just too crazy. So, since you never know which day you might make it to the store, I made a page for each day. Let me know how you like it! Happy shopping!